Over the past few months there have been several news stories about no Blacks owning major broadcast TV stations anymore. The cries have bordered on mass hysteria. It turns out that the story is not true. They released their first report on the state of TV ownership in 2006, and found that there were only 18 Black-owned and operated full-power commercial TV stations, representing just 1.3 percent of all such stations. By December 2012, those 18 had shrunk to just five. And now, according to Free Press, they’re all gone. This report is false in many ways. First, there is the issue of context. For example, what happens when Blacks decide to sell their stations like Bob Johnson did with BET or Mike and Steve Roberts from St. Louis (friends of mine) who were forced to sell their stations last year after they filed for bankruptcy? The problem is that Free Press, while deploring the state of Black ownership, does not factor in situations where Black owners voluntarily or involuntarily sell their properties. Therefore, reduced Black representation in the industry is not solely attributable to slamming the door in the face of Black investors. As they say, figures can lie and liars can figure. Again, taking a look at Free Press, they claim there are no Black-owned TV stations and consequently favor some type of government action to swell the ranks of Black ownership. Well, it turns out that there is at least one Black, Armstrong Williams, who owns not one, but several TV stations. Last November 28, Williams won approval from the Federal Communications Commission (FCC) to buy WEYI-TV, an NBC affiliate in the Flint/Saginaw/Bay City/Midland, Mich., WWMB-TV, a CW affiliate in the Myrtle Beach/Florence, S.C, and WMMP in Charleston, S.C. He obtained a $50 million loan from JP Morgan. Williams acquired the stations from Sinclair Broadcast Group Inc., the nation’s largest independent owner of broadcast TV stations. They own and operate programs or provide sales services to 87 television stations in 47 markets, reaching about 27 percent of U.S. television households. But Free Press does not count Williams as a true owner because Sinclair will provide some of the programing and sales support to his newly-acquired stations, which not an unusual arrangement, especially with a new owner. 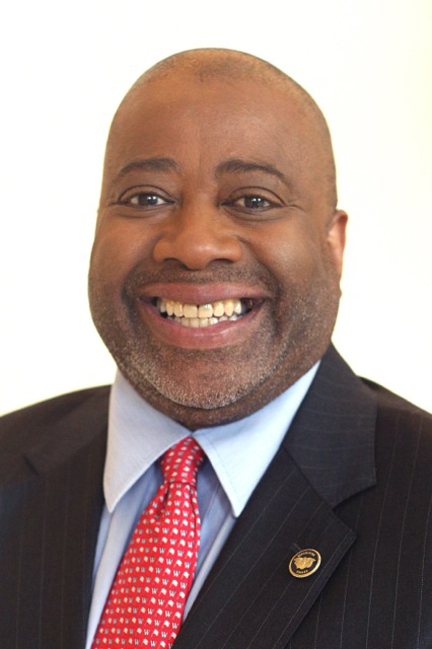 Williams, a well-known Black Republican media personality, is the owner and CEO of Howard Stirk Holdings, Inc. a Washington, D.C. media company. A native of Myrtle Beach, S.C., he has extensive industry experience. For more than 30 years, Williams has been a leader in media and content production. He has developed and produced high quality television programs, including primetime specials with heads of state and key political figures. From 2001 to 2003, he served as Chief Operating Officer of the Renaissance CableTV Network with responsibility for all programming, advertising and content development. Williams’ new relationship with Sinclair is akin to owning rental property or office buildings. It’s not uncommon to hire a property manager to handle the day-to-day business operations while all major decisions will be made by the owner. In most cases, the owner is either too busy running other business ventures or is more comfortable with bringing in management with more specialized knowledge of the particular business. Yet, they lined up to block one of the goals they profess to have – more diverse ownership. For the sake of argument, say they had some legitimate concerns about Williams’ management arrangement with Sinclair. Still, that wouldn’t warrant trying to prevent the sale of the television stations to an African American. Given these strange set of events, the only conclusion I can reach is that the liberal advocacy group that claims to seek “diverse media ownership” does not want politically diverse Black ownership. There is no other way to explain it. There is no question that Williams is the certified owner of the aforementioned stations, the TV stations’ licenses are in his name and the loan from JP Morgan is in his name. That was enough to satisfy the FCC and should be enough to satisfy any reasonable person. Free Press has proven itself to be anything but reasonable.